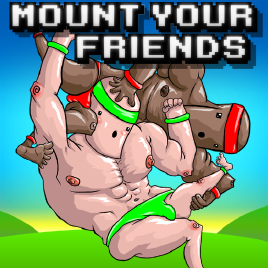 Mount Your Friends: Played Terribly! GameNight!!! Sherry and Rob tackle Mount Your Friends. This is a game where you try to stack your team higher than your opponents but you are always at odds with the controls. The unpredictable nature of the characters lead to hilarious antics. You can find this game on steam as well as the xbox live indie games section. This is gameplay of the steam version with all of the extra features, bells, and whistles. Enjoy!